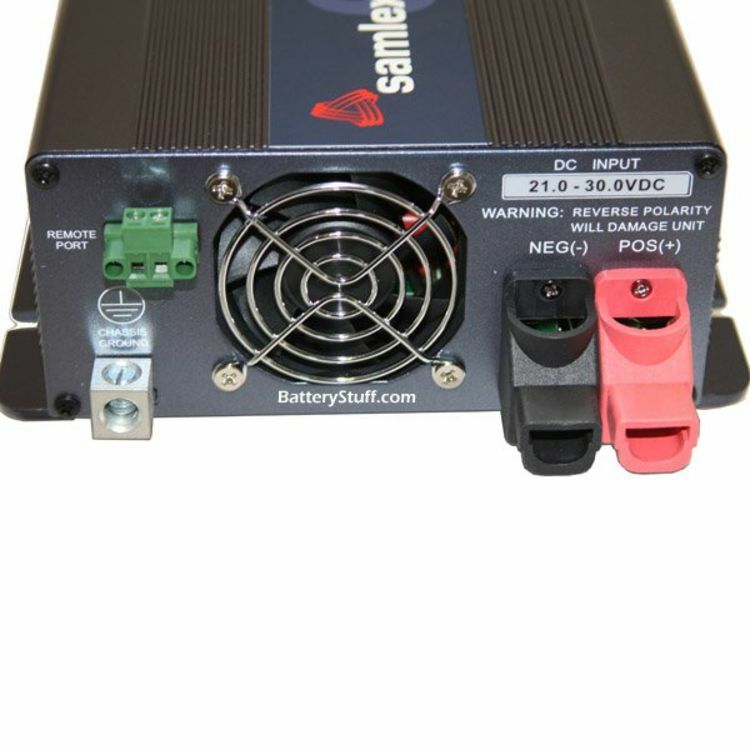 Samlex offers superior quality microprocessor controlled Pure Sine Wave AC-DC power inverters for many different applications. BatteryStuff.com offers PURE SINE WAVE (aka true sine wave) that provides high-end specialty users power portability for sensitive electronic equipment. 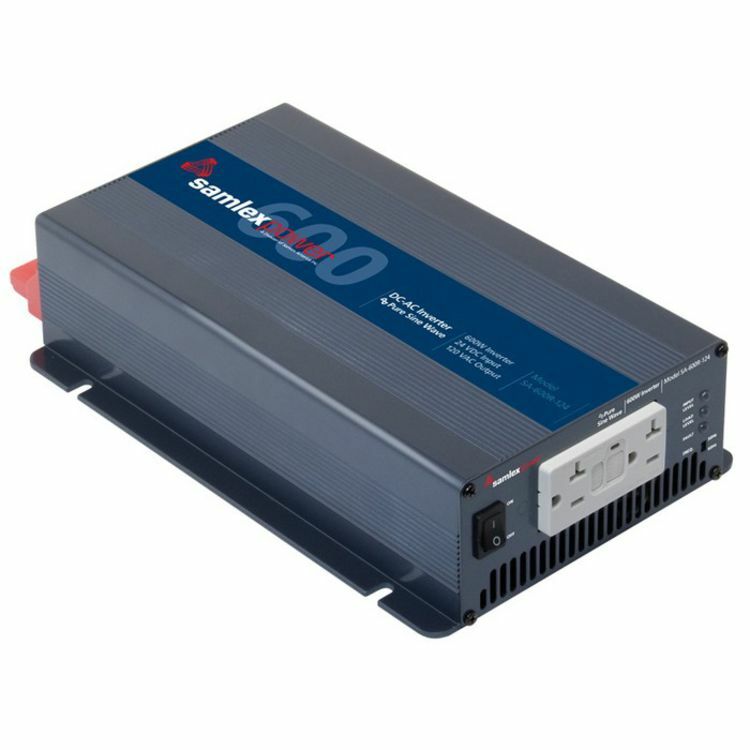 The clean power delivered by a Pure Sine Wave is of the same quality and efficiency as the power provided by your utility company, which is not the case with the cheaper and more popular modified sine inverters. 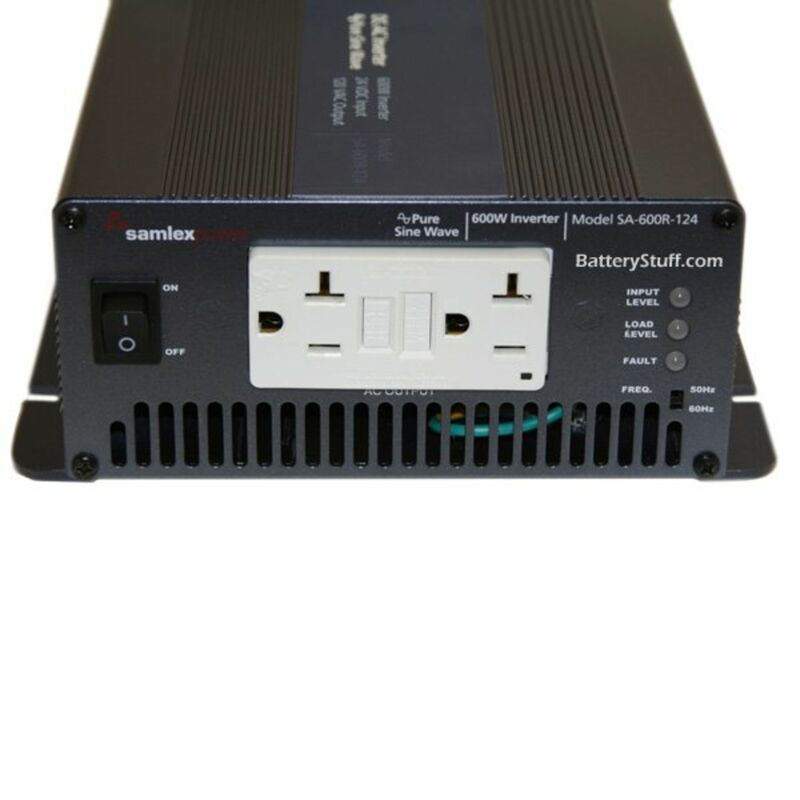 The 24 volt SA series industrial grade inverters are capable of driving highly reactive and capacitive loads. The SA-600R-124 has a load controlled cooling fan to disperse the heat when needed. The unit has several built in Protections: overload / short circuit, reverse polarity (fuse), over / under input voltage, over temperature. We highly recommend the use of Pure Sine Wave Inverters to power Computers and related peripheral devices; i.e. printer’s, optical drives, laser copiers, and if in doubt check with the manufacturer of your equipment. Other devices that benefit when Pure Sine Wave power is used are variable speed control motors using solid state circuitry, Audio Amplifiers, Digital Clocks and Radios, Medical Equipment, Microwaves, etc. PLEASE NOTE: Many electrical devices require a good deal more Watts to start or energize than is required to run once started. For instance an electric motor may require only 350 watts to run but may need 1000 watts to start. Please check with the manufacturer of your equipment to obtain minimum watts for starting operation of the equipment or device. Do you own the SA-600R-124? Please, tell us what you think about it. It helps us provide you with better products. Please note that it may take up to 72 hours for your review to appear.